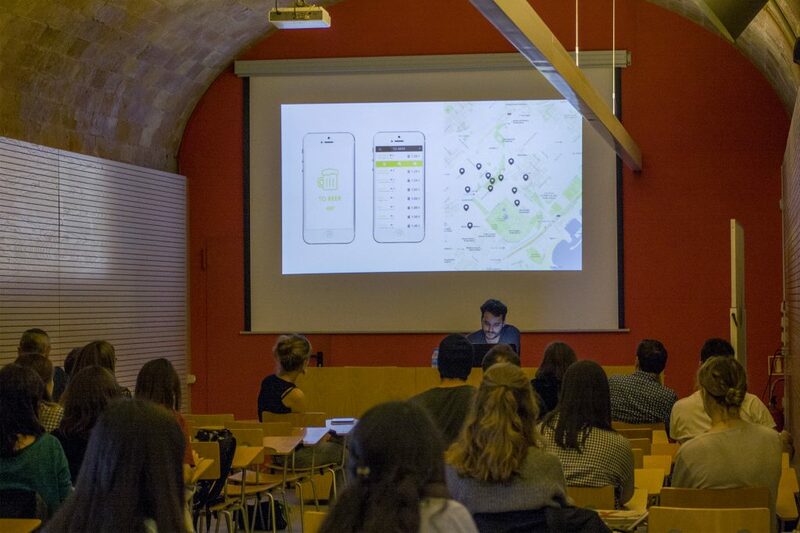 On May 8th we had a coffee with Adrià Sánchez, Chief Design Officer of Wallapop. 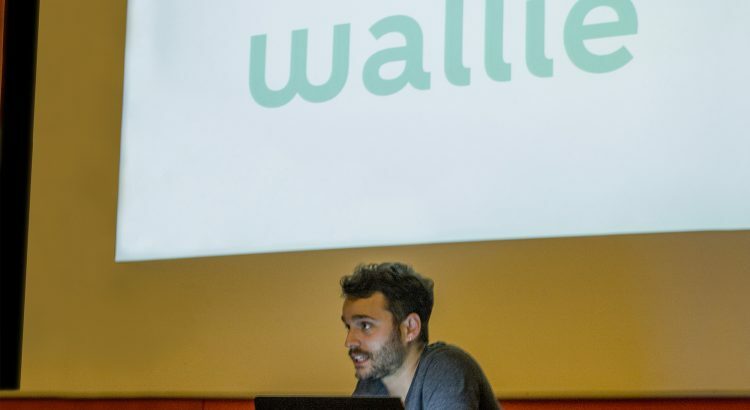 The conference, titled Wallapop: Chronicles of a Designer, has dealt with the trajectory of Wallapop. The success of the application has made him suddenly seen with the situation of designing screens that receive 20 million visits a day. Adrià is from Barcelona, a bar-tracted to absurd ideas and leads the design department of Wallapop. Formed in Elisava, he previously worked in bars and design studios such as Zulinema. He spent a period of time working in agencies, but basically his work was focused on freelances of design and projects of his own. It was then when he began to make his own apps as in the case of “To Beer”, a personal project to find beer around you that failed. Finally, his next project was Wallapop. This has been the last conference of Coffee with …a speech cycle focused on EINA’s Master of Graphic Design. 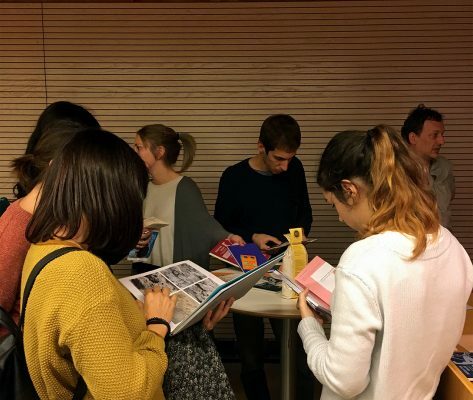 Basing on different professional perspectives and points of view, they deal with topics related to the field of graphic design. These are a series of one-hour monthly meetings open to the public. 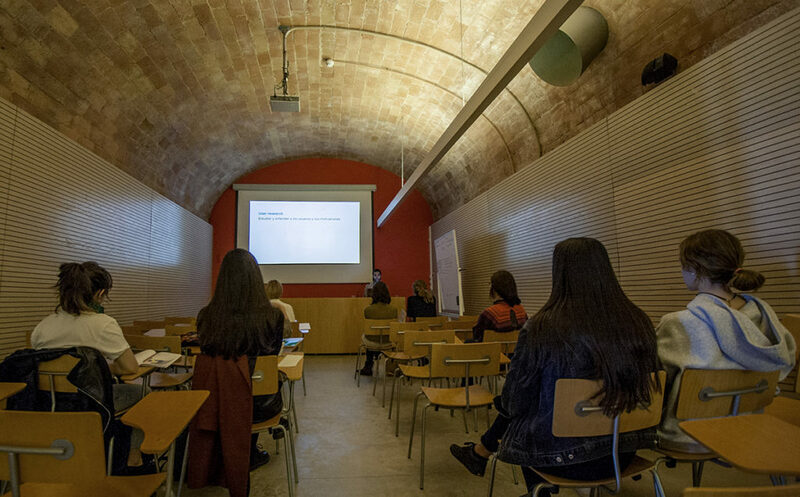 On April 3rd, we had a coffee with Pau Masiá, a former student of EINA, while he talked about how he has been Designing the experiences of the future, title of this edition. Pau spoke about the role he currently plays in Telefónica I+D, in user experience design, and has made a brief review of the projects he has been through (Firefox OS, Firefox Hello, Tuenti), explaining how the role of the designer changes in each of them and what skills are needed for each type of project. You can listen to the conference by following this link. 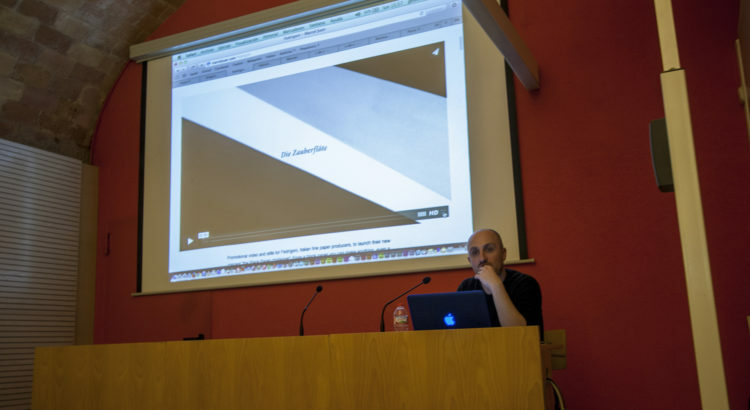 Pau Masiá finished graphic design studies at EINA in 2013. 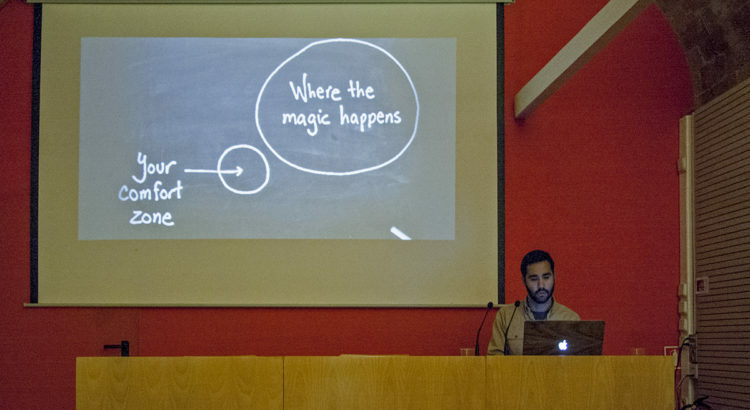 In January 2014 he joined Telefónica I+D in the Firefox OS project as a visual designer. Since then he has participated in projects of global scope, working with professionals from all over the world. In 3 years it has been able to collaborate with companies such as Mozilla, the creators of the Firefox browser, and he currently works in the design department of Tuenti, creating the new Telefónica project to bring data management closer to users. 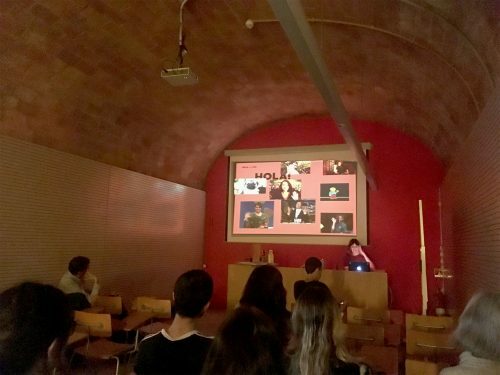 This is the sixth edition of “Coffee with…”, a speech cycle focused on EINA’s Master of Graphic Design where, basing on different professional points of view, they deal with topics related to the field of graphic design. “Coffee with …” is a series of one-hour monthly meetings open to the public. 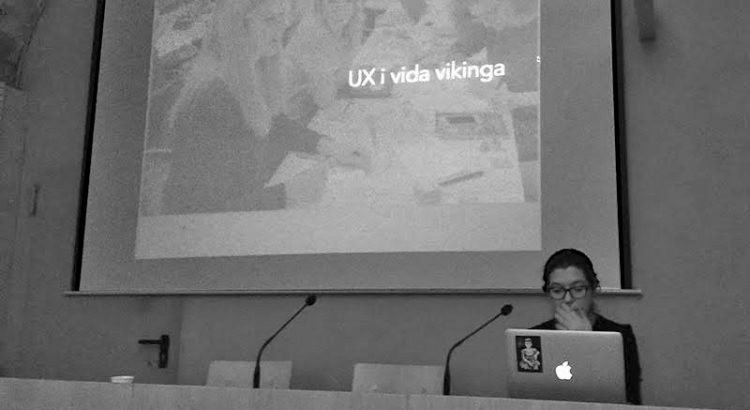 On March 6th, the conference of “Cafè amb Rosa Medina” titled UX and Viking life was done. 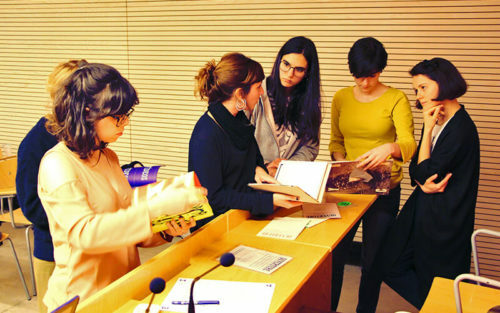 Rosa Medina finished her graphic design studies at EINA in 2010. 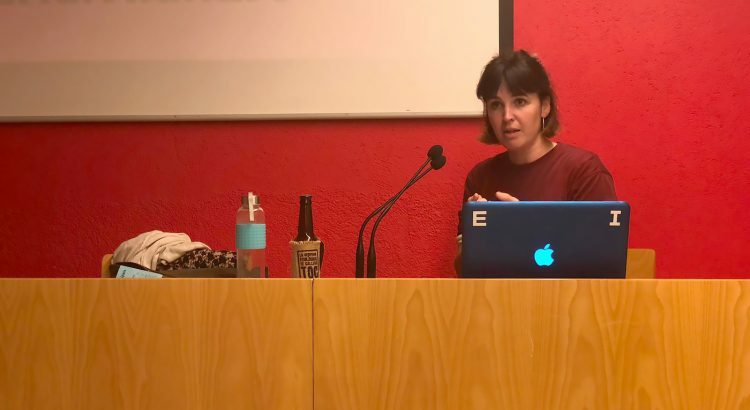 She continued at EINA doing a Web Design postgraduate and Web 2.0 at UPF, combining studies and freelance work in UX / UI and front-end development in several projects. 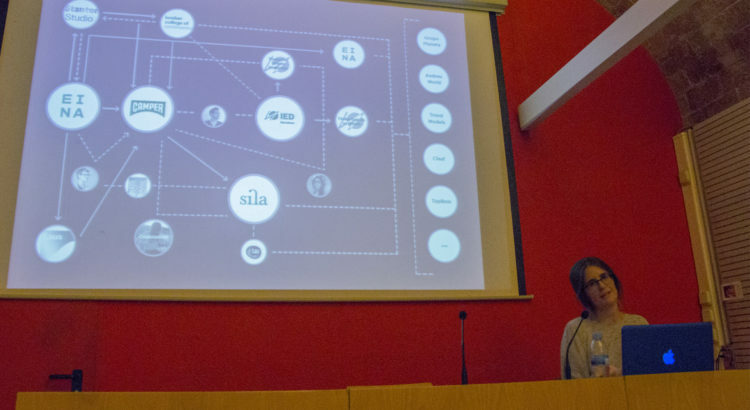 In 2013, after participating in the Copenhagen Institute of Interaction Design (IDRC) summer course, she decided to move to Denmark and study a Master’s Degree in Service Design at the AAU. Since 2015 she has worked for several Danish companies with the roles of usability tester and UX designer. She currently works as a UX designer for Momondo. You can listen the recording of this conference in this link. “Cafè amb…” is a speech cycle focused on EINA’s Master of Graphic Design where, basing on different professional points of view, some subjects related with the design field are dealt. This is a series of one hour length monthly meetings, free and open to public. 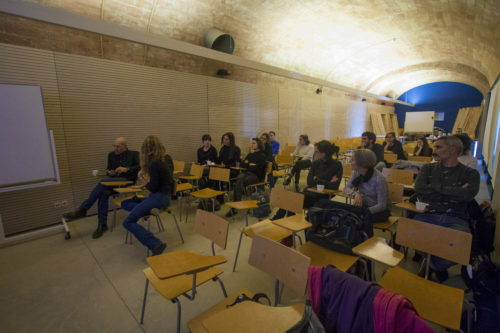 On February 20th we had a coffee with Carles Murillo, a former student of EINA. The title of this edition was Truths and varietés and it dealt with the role of the designer beyond the standard definition or more immediate of graphic design, as it can be the one of the designer-publisher, the designer-enabler or the designer-illustrator. You can listen to the recording of the conference by accessing this link. Carles Murillo is a graphic designer, art director and independent illustrator specialized in the cultural sector who lives and works in Barcelona. 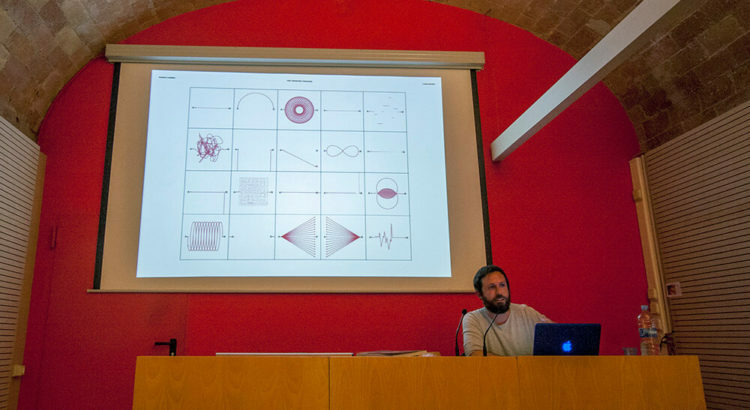 For 13 years he has been project manager and the leader designer of the Barcelona headquarters of Bisdixit, where he was awarded several times at the Laus Awards, the Daniel Gil Awards (Visual), the Art Directors Club of New York, the Tokyo Type Director’s Club and the ADCE. Last January 30th we had a Coffee with Marcel Juan, former student of Superior Grade Design Course and ex professor of EINA’s Graphic Design Master. This new edition of “Coffee with…” has been taken under the title Make a living as a designer without designing. You can listen the recording of this conference in this link. Marcel Juan is director and photographer. He studied graphic design in EINA but his interest in photography and moving image led his professional activity to focus on these areas. After 10 years working in the studio Porcuatro, He’s working now on his own in his studio. His audiovisuals and images owe a lot to his first career years graphic influences and they are marked by a particular sense of tempo, framing, esthetic and light. His work is emphasized by a taste for poetry, the human and sometimes certain details of humor and surrealism. He directed advertising spots, video clips, fashion films, mini TV series, curtains for several channels and short films. 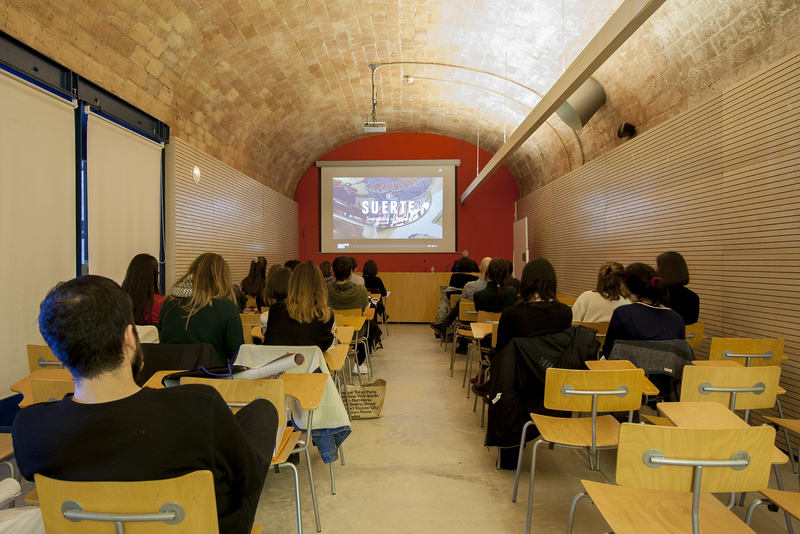 Today It’s been held the conference “Cafè amb Irene Sierra”, former student in EINA and founder of Sila. Under the title Drawing your career, Irene explained her experience to starting her own business, having lived abroad before and later working in a well known shoe company. 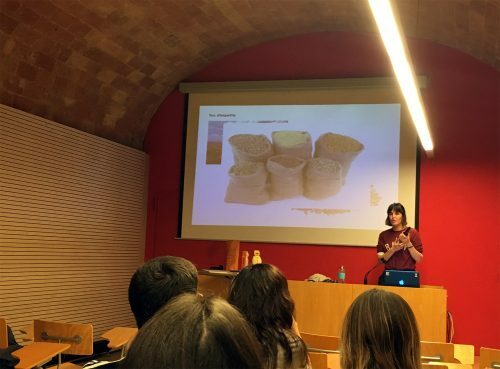 The conference has been the second edition of “Coffee with…”, a speech cycle focused on EINA’s Master of Graphic Design where, basing on different professional points of view, some subjects related with the design field are dealt. This is a series of one hour length monthly meetings, free and open to public.